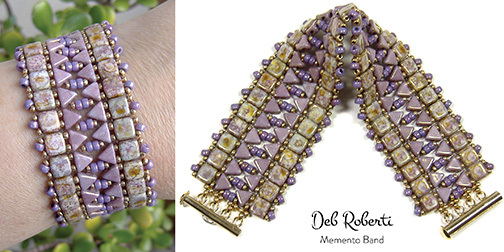 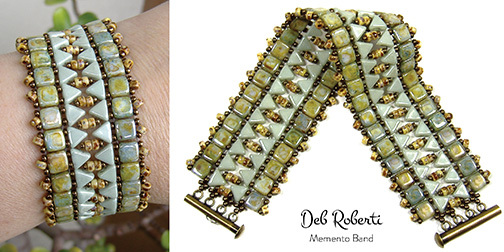 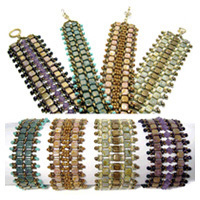 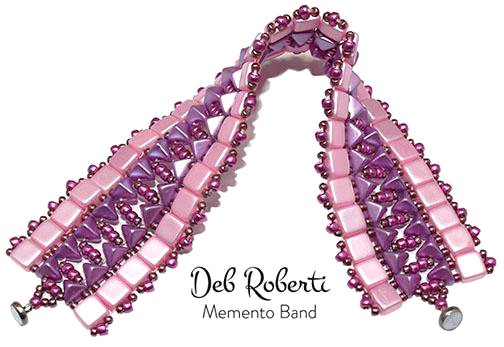 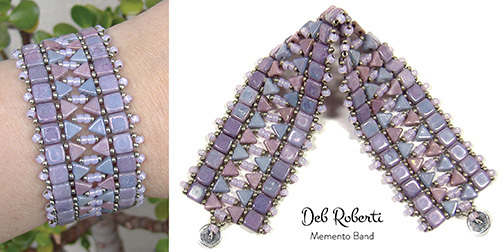 Use size 11/0 and 8/0 seed beads, Czech 6x6mm two-hole tile beads and Kheops par Puca beads (Czech 6mm two-hole triangle-shaped beads) to create this silky band that feels great on your wrist. 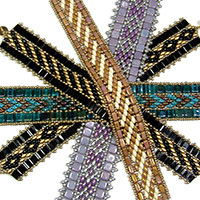 The stitch technique looks intricate but once you get the hang of the repeat sequence, you’ll find that it is really quite easy and sturdy. 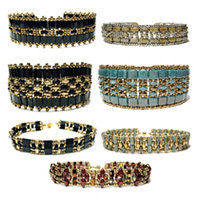 Clasping instructions are included for single-strand and 4-strand clasps.